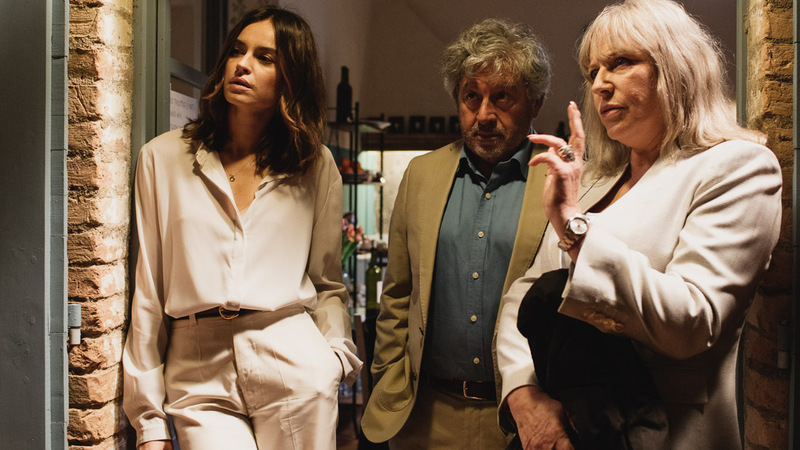 Italian actors Antonio Catania and Kasia Smutniak take to the big screen at the Sundance Film Festival this week in Jacek Borcuch’s Dolce Fine Giornata. The film follows Maria Linde, a free-spirited, Jewish Polish Nobel Prize winner, who lives in Tuscany surrounded by warmth and chaos in her family’s villa. A loving mother and grandmother, she also fosters a secret flirtation with the much younger Egyptian man who runs a nearby seaside inn. After a terrorist attack in Rome, Maria refuses to succumb to the hysterical fear and anti-immigrant sentiment that quickly emerge, deciding in her acceptance speech of a local honor to boldly decry Europe’s eroding democracy—but she is unprepared for the public and personal havoc her comments wreak. Jacek Borcuch returns to the Sundance Film Festival’s world dramatic competition for the third time (after 2010’s All That I Love and 2013’s Lasting) with a visually sumptuous film. It thoughtfully considers the role of art, politics, and family in all our lives through one extraordinary woman’s tale, while also reflecting on Europe’s history and its present. Krystyna Janda gives a fearless, robust performance as the strong-willed Maria, allowing us to understand how both the character’s most impetuous and most righteous acts emerge from the same clear-eyed transgressive nature. Click here to visit the Sundance Film Festival for availability.